Our bubble system is one of the most popular accessories. A powerful bubble system also gives you a relaxing massage. In the standard version the blower is controlled through a pressure switch. As an extra accessory you can choose electronic control with an adjustable power and pulse system. Included parts have been chosen carefully. The standard feature, suitable for HT180 Basic or hot tubs of the same size (180 cm diameter), is delivered with everything assembled in one cable. For hot tubs with other measurements a hose is sold by the metre. All connections are click-on models so no gluing is needed. A special pump blows streams of air into the water through 8 (HT180) special air vents. 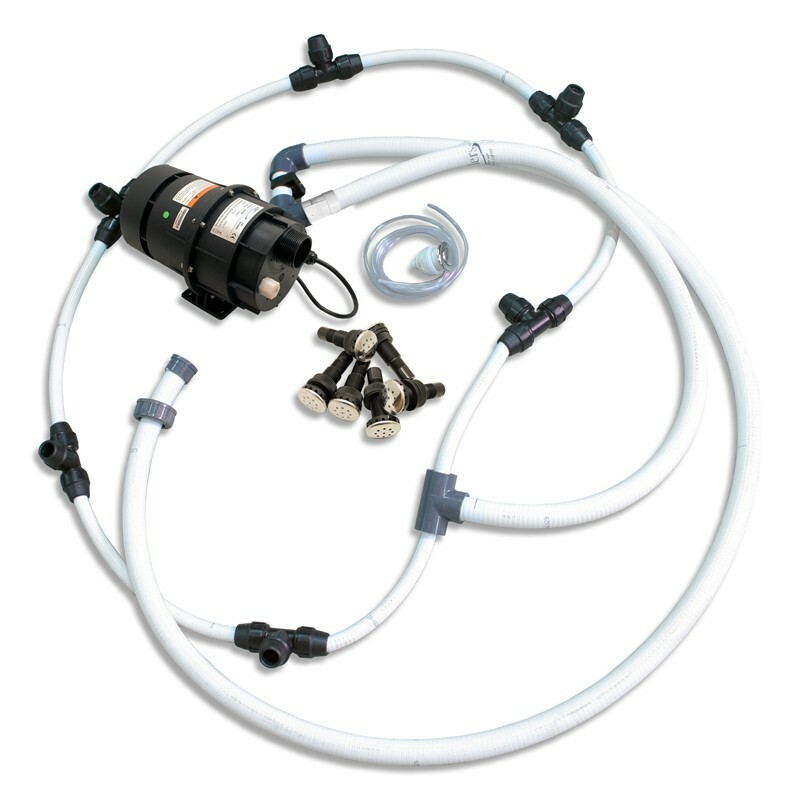 The system also includes the following; check valve, hose, connections, pressure switch for the blower. Read more!